Beyonce is one of the most popular celebrities, and at the same time, a beauty icon. And she is one of the big supporters of going out without makeup. When you are a Grammy award-winning singer, it is natural that you have paparazzi following you around. And Queen Bee is not immune to them. 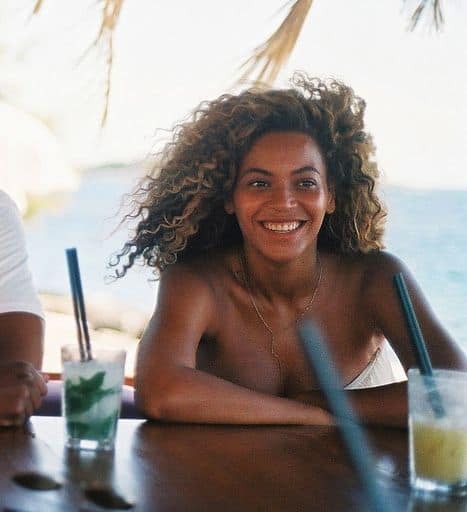 But seeing Beyonce without makeup is not something that will scare you off. The innovative pop singer is not afraid to go out without any makeup. She looks stunning at the awards show, and she also looks flawless when she is not wearing makeup. Maybe there is something with her beauty rituals, or maybe it is genetics. But we have to appreciate her flawless skin. 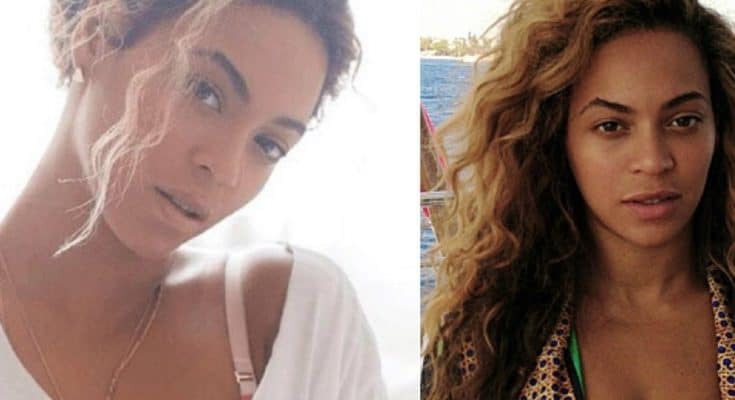 With that in mind, here are a couple of pictures of Beyonce without makeup. Some of them are taken by paparazzi, and others are selfies or other types of amateur photos. When you are out in the sea, you try to be as natural as possible. No matter if you are a fan of her music or not, or of her she dresses up, you have to appreciate how she carries herself. Wearing her signature long curls, Beyonce flashes her radiant skin in the morning. Maybe it is the sea vitamin that helps her look as good. Beyonce is mostly known for her signature long and curly hair. But even when she is sporting short hair, she looks beautiful. And this is a picture taken in the morning. Just think for a second how you look in the morning, and how Queen Bee looks on this picture. Note to yourself: try to take care of your skin more, and you can look as good in the morning as well. It is all about taking care of your skin at all times, and most importantly, remembering to remove makeup before going to bed. If you thought the famous singer doesn’t sport a regular white shirt on a daily basis, you are wrong. This picture is the best proof of how empowering Beyonce really is. No matter what she is wearing, and no matter if she has makeup on, her look is just empowering. Take a look into her eyes, and you cannot stop gazing at how amazing she is. Beyonce is always open about her beauty tips and tricks. One of her rules is to always find time to relax, breathe, and calm your mind. When you are calm, you look beautiful no matter what you are wearing. And when you are stressed, it shows on your face. With that in mind, Beyonce preaches sea salt scrub and relaxing as a great home treatment. That is definitely something you can easily do. When you wear your dress with confidence, nothing can stop you. And you do not need any makeup whatsoever. 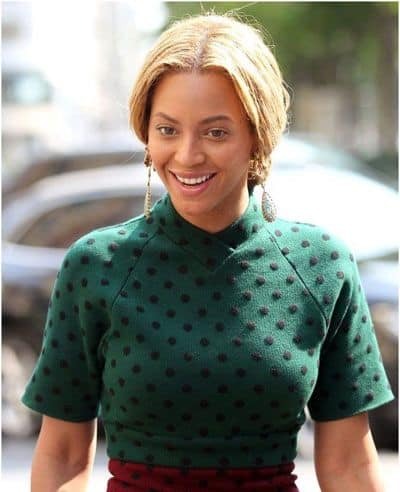 As we said previously, Beyonce often goes out of her home without any makeup on. Here, we see her pictured by paparazzi as she is sporting a polka dot dress. You can say she is killing it, and you won’t be wrong. When you are a celebrity, you can say you are working the entire day. Basically, when you are as famous as Beyonce, everything you do, and everything you say, goes public. And she needs to look her best at all times. Here we see her relaxed, working on her laptop, letting her hair go wild, and wearing no makeup. She might be answering an email for all we know. But one thing is certain, there is no makeup on that flawless face. 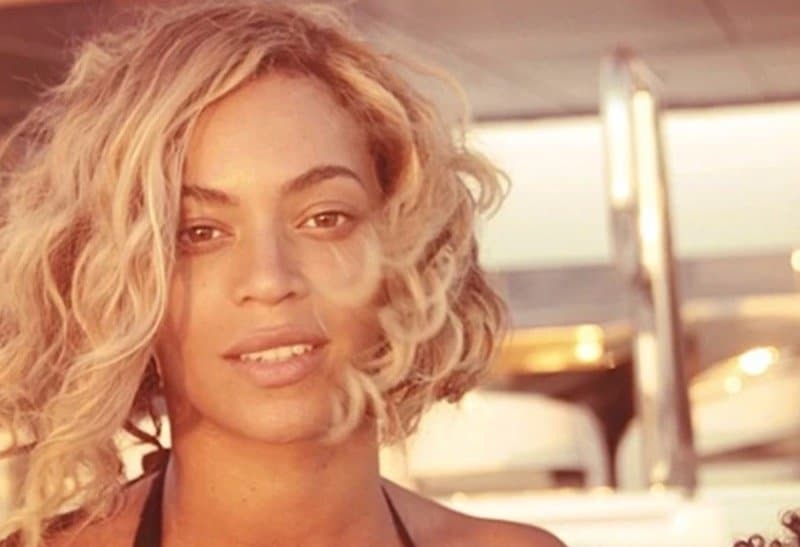 Beyonce has been the face of a couple of swimwear campaigns. And she even launched her own line in collaboration with H&M. With that in mind, it is only logical that we see her in a bikini without makeup. Her body is downright gorgeous, and she needs no makeup to enhance her natural beauty. Not only she is beautiful, Beyonce is also fun and charming. You can be sure she is someone you would love to hang out with. 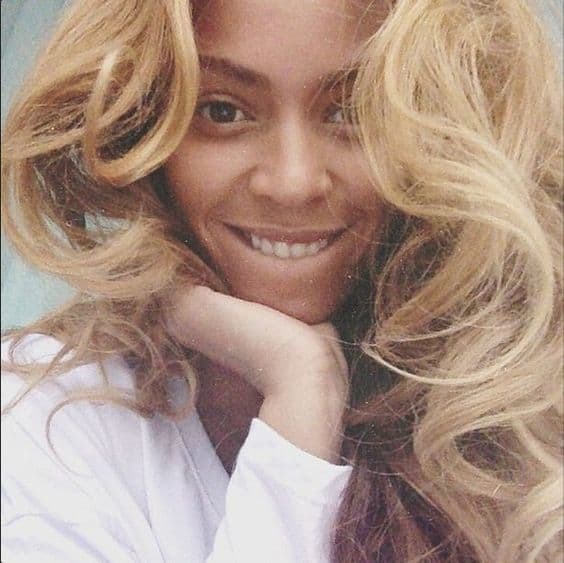 Witty, funny, and entertaining, Beyonce has no fear of showing her full face without any makeup. The takeaway here is that she clearly enjoys being who she is. And once you achieve that level of freedom and confidence, you do not need any enhancers. Confidence and a smile is the best makeup you can wear. Now that is a friendly face. She is probably waving at the paparazzi waiting for her to come out. And she shows them exactly what they wanted, a truly natural look. 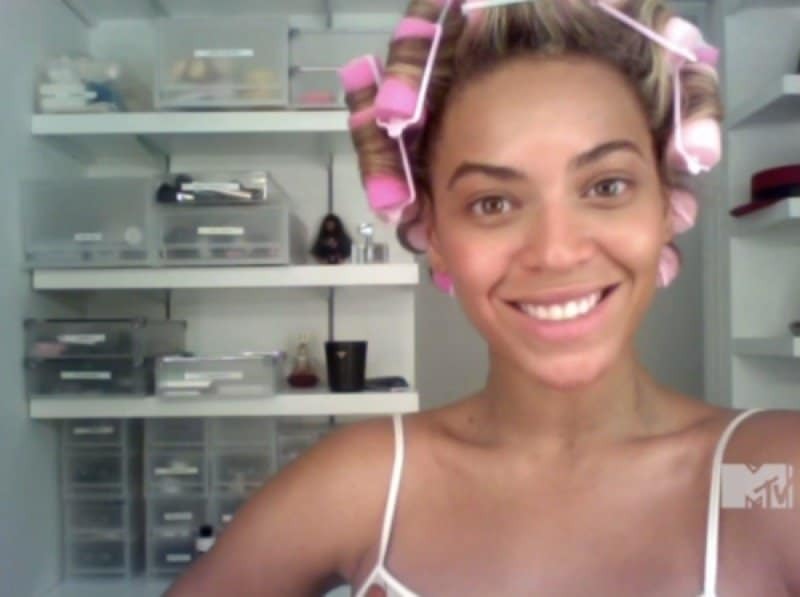 If this picture of Beyonce without makeup doesn’t convince you she is flawless and beautiful, nothing will.